190406 Taeyeon “Four Seasons” wins 1st place on today’s MBC ipakita MUSIC CORE! What number is Taeyeon in your listahan of favorites? Taeyeon has finally released the MV teaser for his new digital single, entitled 'Rain'. 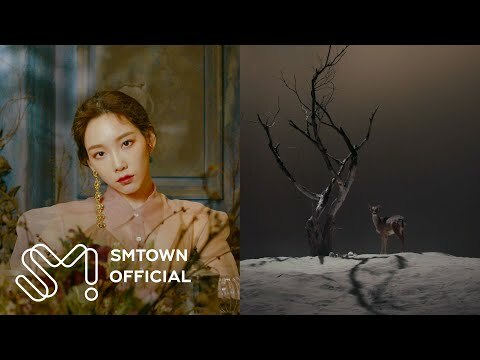 On the afternoon of Wednesday (27/01), SM Entertainment teased the fans sa pamamagitan ng releasing a teaser video for the latest MV Taeyeon, 'Rain'. Among her K-pop idol peers, the Girls' Generation member received the most network music ipakita trophies in 2015. The idol was very active with music promotions this year, having comebacks with Girls' Generation and TaeTiSeo, as well as making her solo debut. The prebiyu for Taeyeon’s “I” music video has been released. For the past few days, Taeyeon has been releasing teaser mga litrato through her Instagram and official website. Check out the music video prebiyu on the SMTOWN YouTube channel, or watch it below. Towards the end of their performance of “Run Devil Run“, a male audience member intruded on their stage from the back and attempted to pull Taeyeon away sa pamamagitan ng grabbing her wrist. a video ay idinagdag: 190406 Taeyeon “Four Seasons” wins 1st place on today’s MBC ipakita MUSIC CORE!